Long term car hire but with more flexibility! We have taken our exciting range of new vehicles and packaged these with some fantastic long term rates. We now offer our customers the option to enjoy these products within a flexible contract, without the penalties and costs usually associated with traditional long-term leases.Our dedicated team will manage your personal requirements with variable multiple mileage/term options and monthly billing. We offer immediate availability on most models and all vehicles are covered by manufacturer warranty plus roadside assistance. 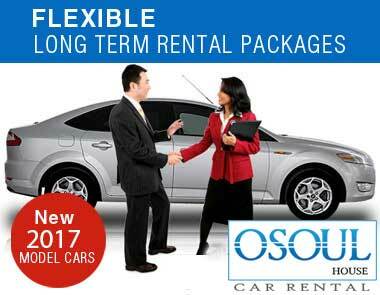 A long term car hire with Osoul House Kuwait offers several benefits to the lessee that on could not get any where. A completely well maintained car is always at you service with you not having to worry about service schedules and unscheduled maintenance. One does not have to worry about depreciation of the vehicle with zero risk and need not worry about your vehicle becoming outdated as you can just swap it for a newer model from even another manufacturer when your long term agreement comes up for renewal.